Five months before my wife Pam’s due date for our second child, we were switched to a different - and better - health plan. Little did I know that a simple change in insurance would change the course of my life and the trajectory of UrbanPromise. As young parents, Pam and I were overwhelmed - looking at months of emergency prenatal care, special surgeries, unplanned doctor visits, consultants, occupational therapy, physical therapy… We were also looking at a mountain of debt. Debt that would force us to leave Camden and pursue other careers. graduated with a degree in graphic design and currently interns at two public radio stations. Erin is our miracle and we’re so proud of her courage and resilience. It’s hard to plan for life’s unexpected events. Had the ministry not switched to a better insurance, I would have been saddled with over a million dollars in hospital bills and experienced limited access to the services and treatments Erin desperately needed. Recently our health insurance broker called to share some sobering news--UrbanPromise’s health insurance premiums will increase by 15% this coming year — an additional unplanned $30,000 to our annual budget. It’s a huge expense for our ministry. I know you will agree: the most important resource at UrbanPromise is our people. Without quality staff we cannot run quality schools, creative summer camps, transformative job training programs, innovative boat building, effective tutoring, and faith-inspiring Bible studies. Without longevity of staff we cannot provide stability, consistency and the long-term relationships our children crave. I really need your help to care for our staff. I look forward to hearing from you. I know many of you will step up and help us reach this urgent goal. PS. Please read a few of these inspirational testimonies from our staff. 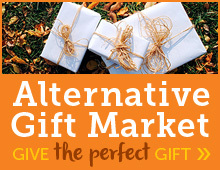 You’ll see why health insurance is so critical. The stress of receiving a cancer diagnosis is hard enough, knowing you have good health insurance and can choose the doctors who are leaders in the field is saving grace. I am not sure how we would have survived financially or physically without the blessing of our health insurance. When my doctor diagnosed me with a painful fibroid tumor, I was relieved it was not more serious, but also worried. Fibroids are treatable, but it would require surgery and potentially cost a lot of money. Because I work for UrbanPromise, I didn’t have to worry. Our excellent health care insurance cut my bill from $80,000 to only $4,000 and the staff at UrbanPromise circled me with love and care, bringing meals and visiting me while I recuperated. More than a decade ago, ABC News met 4-year-old Ivan Stevens who was homeless and praying for Superman to find him a home. Six-year-old Karim Council wondered if other kids worried about being shot and dying as a teenager. Billy Joe Marrerro was 17 years old and was determined to be the first in his family to graduate high school. The thing these children had in common was they were all growing up in Camden, New Jersey. In 2007, ABC News spent 18 months documenting the lives of Ivan, Karim, Billy Joe and a number of other children for a Diane Sawyer special report. Recently, ABC News returned to Camden to follow up with these children more than a decade later. When ABC News first met Ivan, he and his mother, Precious, and little brother, Imere, sometimes were spending entire days in a gang-ridden park. They had found temporary refuge in an illegal boarding house, where the landlord padlocked the refrigerator door to keep them from getting food. All three were sleeping in one chair. And no one had to tell Ivan that Camden was dangerous. Back then, Ivan offered a solution for his family to find a home: "[a] superhero or somebody who'll let me fly on their back, when I see a house, then I get it." Ivan’s mother wanted to make sure that even though the family had no permanent place to live, Ivan would not miss a day of school. "I want to go to school so bad," he said at the time. "I want to read." After the initial 2007 report aired on "Good Morning America," "20/20" and "Nightline," ABC News viewers became the superhero he was looking for. Money sent from generous viewers went into a trust for housing and education. 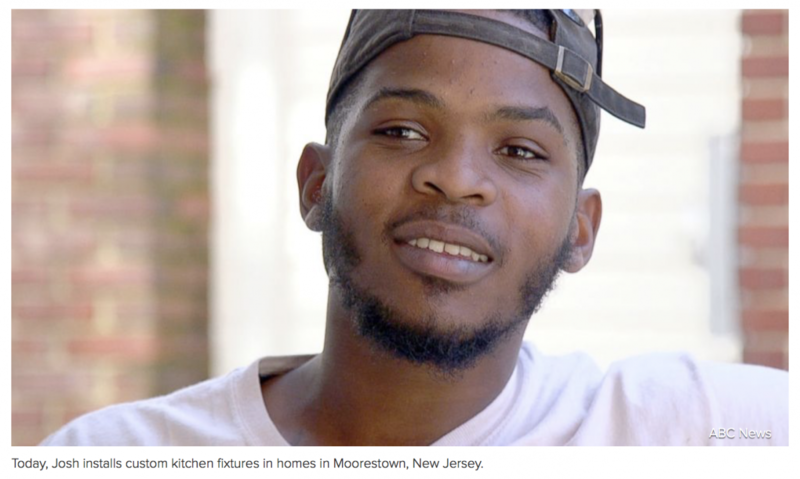 It was enough for Ivan's family to get an apartment and he was given the chance to attend to a private Christian school in Camden called Urban Promise. For the first time, the little boy had a room and a chance to learn how to read. "I love my tie," he said, as he proudly posed in his new school uniform. He said that he loved his family and that his mother, Gabbie, worked three jobs so he helped with chores at home. He loved when Urban Promise provided special food on holidays at school and listed his favorites: “We have corn on the cob, chicken, chicken with barbecue sauce, chicken with hot sauce, and just plain chicken. And we have red rice, yellow rice and white rice." 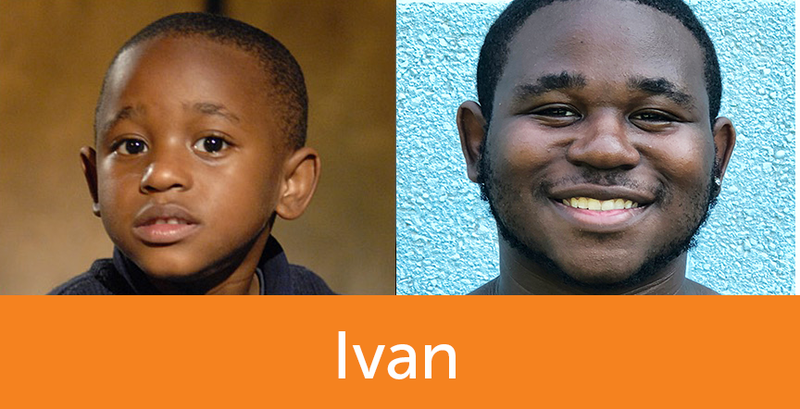 Today, both Ivan and Karim are working hard every day to make their dreams a reality. 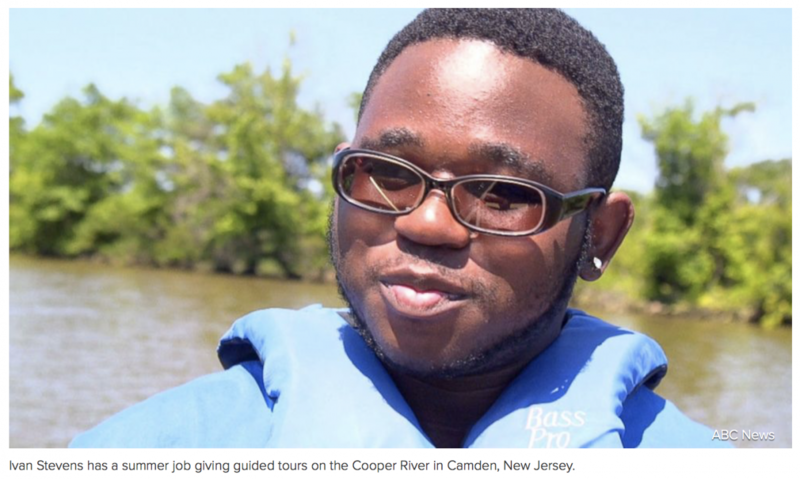 Ivan has a summer job giving guided canoe tours on the Cooper River in Camden. He's going to start his junior year of high school. A diligent student, he said he loves history and studies the Bible. But this year he was handed another blow. His mother, Precious, who was his champion and best friend, learned she had kidney cancer that had spread to her bones. She died in June at the age of 37. Ivan's father lives with him now in the apartment that they have been able to maintain with the help of generous viewers, and Urban Promise is still trying to help him. But Ivan said his mother is still his guiding light. "My mom, she's a nature girl,” he told ABC News as he paddled his canoe down the river. “She wanted us to have the great opportunities for things and she told me to go for whatever opportunity I have." He said he wants everyone who supported him to know he is going to continue to do his best to succeed and make his mother proud. "I just ask God to get me through my day and let me have a safe journey and 'Amen,'" he said. 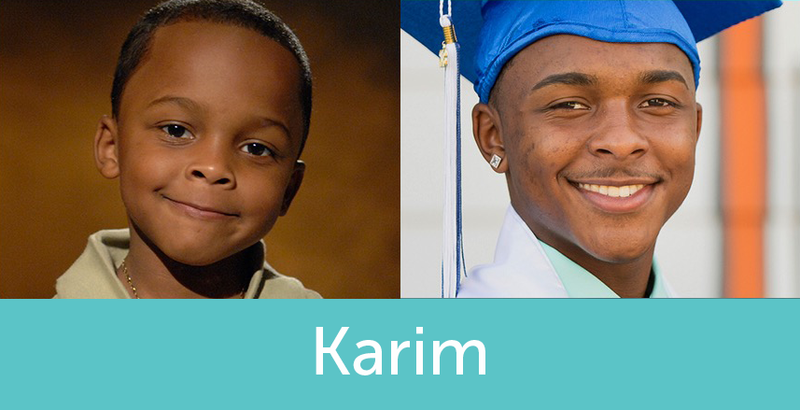 As for Karim, he went on to become student council president and he kept up his grades, even while working as many as 40 hours a week at a sneaker store to save some money in hopes of getting into college. He just graduated high school and was accepted into Rutgers University. On graduation day, it was pure joy for him and his mother. "I’m honored to have a son that’s 18 and still alive in the city of Camden," an emotional Gabbie said. "We’re here celebrating his graduation and not mourning him." Alicia Santiago is another bright little girl ABC News met in Camden more than 10 years ago. She was 12 years old at the time, trying to make good grades to get to college while she took care of her diabetic grandmother every day after school. Now, Alicia is 24 years old. She started college but she got pregnant and had to drop out. She has $20,000 in student loan debt, but is hoping she hasn't missed her chance. "Everyone gets set back, and stuff happens, life happens and it doesn't matter as long as you get back on the right track," she said. "That's all that matters." Alicia, now pregnant with her second child, lives with her grandmother and still cares for her full time. She also works 25 hours a week at a local pizza shop to help pay rent and expenses. 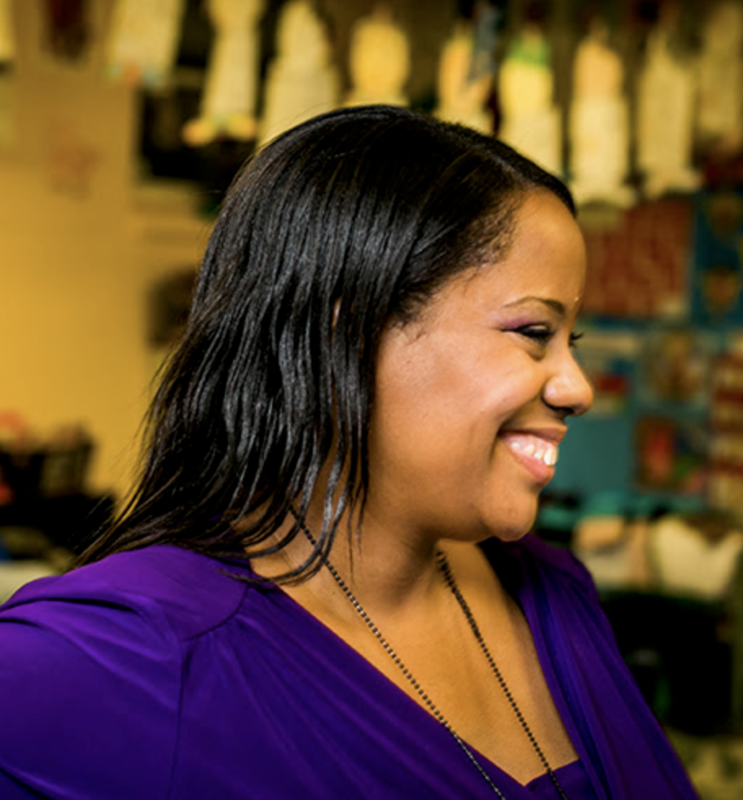 She cleans, does the laundry and is taking classes online in early childhood education. "Growing up here, it doesn’t have to be bad. You don't have to focus on the negative," she said. "You can be a rose among thorns." One of the great ironies of Camden -- plagued by poverty and dotted with abandoned homes -- is that just 10 minutes away is Moorestown, New Jersey, voted the best place to grow up in America by Money magazine in 2005. At the time, a boy from Camden named Josh wondered whether the kids in Moorestown could hear the same gunshots he heard at night. He had dreams of getting married one day and becoming either a "veterinarian, engineer [or] play basketball." "I'm focusing on school, keep up my grades," he said. Josh also attended the Urban Promise school and did well enough to go to college. He met a girl, they had a son, and he wanted to marry her but eventually he had to drop out of college to care for their son. "I always wanted to graduate college," he said. Today, Josh installs custom kitchen fixtures at homes in Moorestown -- homes that cost more than $1 million -- and he's trying to believe in a second chance. "I’ve been learning how to build the house from the ground up, starting from the foundation down, up to the framing," he said. "People give up and they give in. I feel though for anybody in the struggle. ... That’s the one thing you just can’t do. You just can’t give up." Some of the other kids ABC News visited more than 10 years ago were also bruised by life, trying not to give up and finding new ways to survive. Wade, a classically trained pianist, said he wanted to be a music therapist. "I want to help people feel better," he said at the time. "Financial, that's the hardest thing for me because, because I don't have nobody to help me." He did graduate from college but was left with $75,000 worth of student loan debt. 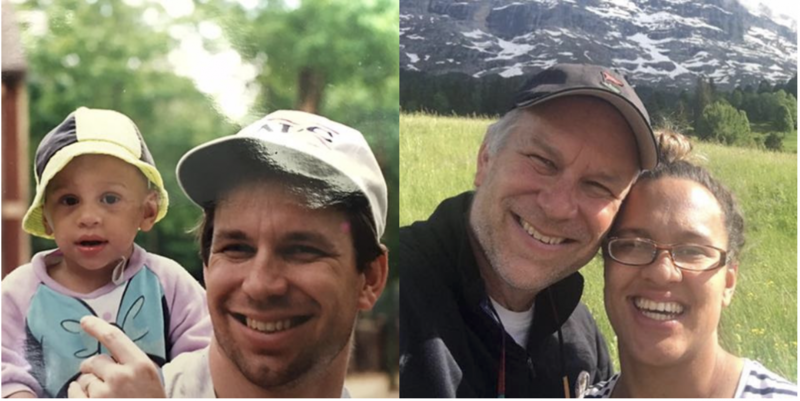 When ABC News met up with him recently, he said he'd been commuting for his part-time job at Lowe's and then commuting two hours to his overnight shift at UPS. Wade still relishes every chance he gets to play a piano. "[Playing the piano] takes me away. I’m in my own little world," he said. "I'm sleeping on a little cot for right now, temporarily. It’s better than what most people have that are in my situation. So I'm grateful for that." Billy Joe is another Camden kid who loves music. More than a decade ago, Billy Joe was a 17-year-old high school student in Camden working at a fast-food restaurant and living with his family in a home that sometimes didn't have electricity and was overrun with cockroaches. Billy Joe's mother had left when he was 9 and his father worked to make ends meet for their six kids. After the original 2007 report aired, Billy Joe's family was featured on the ABC reality show "Extreme Home Makeover," but in the end, the family couldn't manage the upkeep and bills on the new house. After two years, they sold the house and returned to their old neighborhood. During that time, Billy Joe, a songwriter, had some success with his band. He's still writing songs and hoping for his big break. "It’s been rough," he said. "I’ve battled some depression throughout the years. ... Man, this stuff gets hard." In the last decade, the city of Camden has changed some too. It's still one of the U.S. most dangerous cities, but the number of murders is now at its lowest in 25 years. The city now has double the number of police officers patrolling the streets. "It's a struggle to survive in Camden," Sgt. Raphael Thornton said. "No child is born wanting to be a drug dealer. ... Our citizens need jobs. We're still cleaning up the city but if the only way they have of supporting themselves is through the criminal element, then it will be a revolving door." But these kids who are now 10 years older still believe there is a kind of victory in not giving in to the circumstances surrounding them. "It’s hard to resist something that is easy. ... You live on a drug block, you wake up, go to work, you come home, at the end of the week you get a $500 paycheck and then a guy standing outside of your block just made $2,000 in two hours," Josh said. "Right. Double, triple what you make," Karim said. Josh, who was terrified of getting shot before he reached his teenage years, now hopes that his 7-year-old son Jaiden’s biggest fear as he grows up in Camden can be far more innocent -- like, falling off his bike. “My fear growing up was bullets, so it shows you the difference,” Josh said. If you watched, “Waiting for the World to Change” on ABC News a decade ago, you may remember Josh, Ivan, and Karim, three of the children highlighted. Viewers got a glimpse of childhood in Camden with conditions that led eight-year old Josh to ask whether their peers in the suburbs also hear gunshots and see people dying for no reason, and five-year old Karim worry about what the future holds, saying “I don’t want to die when I’m a teenager.” Four-year-old Ivan was the most unforgettable, dreaming to be superman so he could fly high and get his mom a place to live and a bed; and at Christmas hoping for a home with a bathroom and curtains. 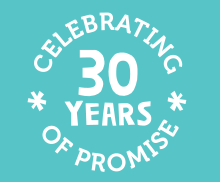 These are the children, the stories, the realities, that compelled the birth of UrbanPromise and continue to compel our work in Camden and beyond. We have learned we can’t prevent what our children face every day but we can off-set the trauma, poverty and violence through by offering a safe and nurturing environment, just as real, a peaceful community within the city, where our teens, parents, children, staff, and volunteers shape a different world, one in which our children grow and thrive. Where love is the guiding principle, where hope is spoken, and where children are put first. The 800 children and teens involved in our programs simple refer to this community as “Urban”. The programs we run at UrbanPromise, including our schools, afterschool program, experiential learning, and teen jobs, are innovative, nurturing, and holistic. Ivan, Josh, and Karim grew up in our schools and afterschool programs. At 14 they each became StreetLeaders, teens who are employed, trained, and deployed as leaders in our camps and afterschool programs. They’ve gone on trips, seen opportunities that exist outside of their zip codes, gone on college tours, and been stretched beyond their imagination. 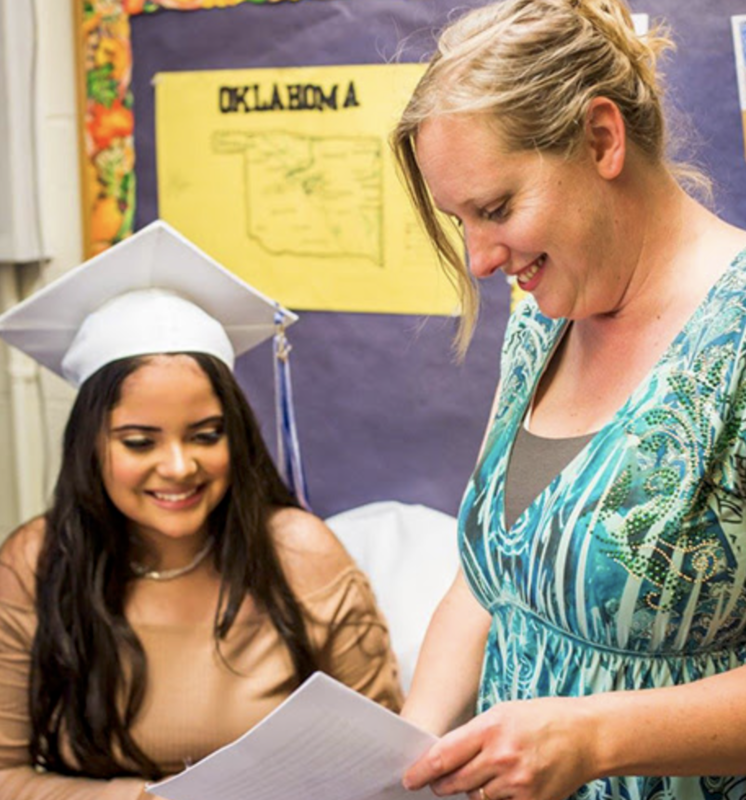 It is not our programs alone that make the greatest difference, it is the community of caring people that embrace UrbanPromise’s children, weaving a network of relationships that root hope, love, confidence, opportunities, and faith into their mindset and their lives. Our 200 volunteers, 100 teens, 600 children, 3,000 donors, hundreds of churches, businesses, and colleges, make up UrbanPromise, each doing a little, each a fiber that strengthens our community. Ten years later, Diane Sawyer is once again allowing us to look into the lives of Ivan, Karim, and Josh, three young men who have been greatly affected by loss, violence, and grief. Death, incarceration, teen parenting, poverty, and family and community violence have been markers in their lives. Yet their strength and resilience is profound. It is their spirit, purpose in life, outlook on the future, and daily-lived actions that make a difference in the lives of others and inspire us at UrbanPromise. It is truly a place where the extraordinary has become ordinary. In the last ten years, the world, of course, has changed. We now support 17-year old Ivan, in the face of his mother’s death, as he cares for his little brother and his father; we stand by 24-year old Josh, who at 7-years old was afraid to have hope, as he infuses hope, love, and safety into his young son’s life while pursuing his own goals; and we cheer on Karim as he goes onto college to pursue a life he once hoped for as a child. Ten years ago, Ivan wanted to be Superman, and today, we see that all three of them have shown heroic resolve in keeping their own lives moving forward and not allowing the circumstances of their childhoods define them as men. Thanks to so many of you, the next ten years is just as promising.